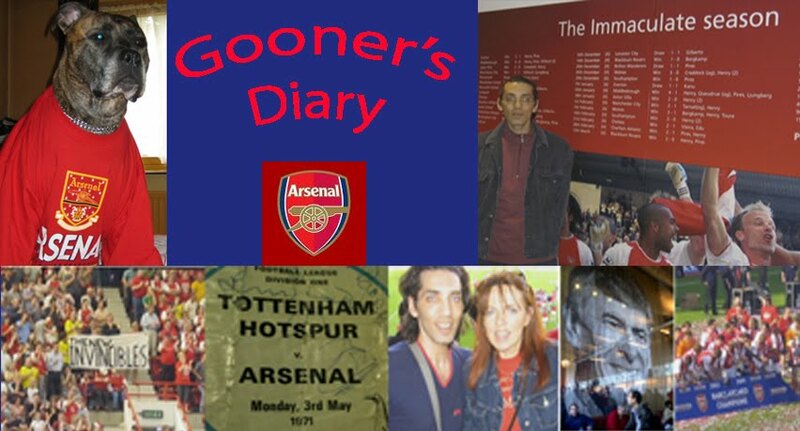 Gooner's Diary: More Custard WIth That Trifle? More Custard WIth That Trifle? You’ve got to love this game of ours. The Gunners travelled to South London on Saturday with everyone and his dog expecting us to romp past a managerless Palace outfit, utterly bereft of spirit and confidence. Yet what actually transpired couldn’t possibly have been more different, as we encountered the stiffest of tests, against a team that was somehow magically transformed from the gutless relegation fodder that has rolled over and played dead in so many of their matches thus far. Even Chamakh, possibly the most reluctant goal-getter I’ve ever seen, was witnessed putting himself about a bit. Superstitious doughnut that I am, I must admit that I first started fearing the omens weren’t great and that fate might relish taking a bite out of the backsides of all those who’d foretold a walkover in this potential banana-skin derby, when watching TV on Friday night. Less than scientific perhaps, but no less accurate than all those experts, the piece of bread representing the Eagles predicted a shock result, when it popped up out of the toasters before ours, amidst the flim-flammery of Dannys Baker & Kelly’s whacky footie show. Mercifully, in spite of the Eagles admirable determination and with the aid of the massive gift of a penalty resulting from a mindless challenge in the box in the opening minute of the second-half, the toaster prediction method was proved fallible. As was also apparent in our Champions League defeat to Dortmund in midweek, the Gunners are far more permeable in the absence of the protective midfield demolition work of Mathieu Flamini. The Flamster’s ability to remain out on the park, by avoiding injury and suspension, could prove to be one of the most pivotal aspects in deciding whether this is to prove a successful season. Doubtless his early retirement on Saturday contributed to Sczcny’s opportunity to shine between the sticks and indeed, it will be a worrying blow if Flamini is ruled out for our crucial forthcoming fixtures. We’re likely to be significantly disadvantaged without the Frenchman at his ballistic best, to snuff out the prolific firepower of the likes of Suarez, Sturridge, Rooney and Van Persie. But then with the Gunners new ‘homme dur’ already being only one yellow card away from suspension, at least his substitution on Saturday postponed the almost inevitable booking that will invoke this ban. Yet prior to an enticing and perhaps telling encounter with the Scousers (that could go some way to establishing either side’s genuine credentials) and a trip to Old Trafford, we’ve the trifling matter of the Mourinho circus coming to town on Tuesday night. My instincts are that momentum is everything and that it’s best not to mess too radically with a winning formula. Besides which, fatigue isn’t usually a factor, so long as a team continues to triumph over all and sundry. Nevertheless, we struggled to muster an effort on goal against the Germans in midweek, compared to a sparkling opening 15 minute spell that knocked out Napoli. We lacked the sharpness and vigour necessary to combat an unrelenting Dortmund side. Perhaps it’s a sign of old age, but never mind the players, I find the relentless drain on the reserves of adrenaline of twice weekly outings thoroughly exhausting. And with the weight our manager ascribes to the science of reading our players’ gas-tank dial and identifying when this is “in the red” and Arsène’s track record of treating the League Cup as a welcome opportunity to rotate regular first-teamers, thereby affording youngsters like Serge Gnabry the chance to grasp the nettle, I’ll be amazed if this philosophy changes just because it’s Chelsea that we’re playing on Tuesday. Even if he is “not special anymore”, I can’t envisage Mourinho doing likewise, since the Chelsea manager will know that a win against a weakened Arsenal side won’t detract from the Blues delivering the first psychological blow, in his efforts to put a spoke in Wenger’s wheel. I’m praying Arsène’s team selection demonstrates his appreciation of the importance of maintaining our winning momentum and his affinity with our yearning for a trophy of any description, in the knowledge that victory on Tuesday night will leave us only two wins away from an opportunity for our long-awaited deliverance from the silverware-starved doldrums. By contrast, there might be considerable repercussions, should we have the wind knocked out of our sails, in the event we get stuffed on home turf, by a side that are title favourites for so many. Hopefully our encounter with Chelsea will prove to be the sort of trifle that hits their Bozo the clown boss full in the face!